About two years ago I noticed that we rarely watched cable TV. More and more we streamed our TV shows and movies on our devices, on either our smartphones or tablets. The convenience and ease of watching our favorite shows anytime or anywhere are incredible. We know it’s time to cut the cord and stop paying a cable bill. Why should you pay a cable bill when you can stream, right? And if you have an Internet connection (web-based services and content require high-speed Internet service and some services may require a subscription), you too can cut the cord. My family can watch all our favorite shows on the go or anywhere we want. I can watch ‘This Is Us’ while I’m in the car rider line waiting to pick my son up from school on my phone. If you don’t have a Smart TV (a TV capable of steaming web-based directly to your television), you can stream from your phone to your TV if you have the right device. And that device is Google Chromecast. Chromecast allows you to upgrade your TV without spending money on a brand new TV. And it’s so affordable you can get one for every TV in your house. All need to do is plug Chromecast into the HDMI port on your TV and start streaming your favorite shows right from your phone with just a tap. Oh, you can still use your phone as you normally do, too. Chromecast is designed to make the most of the apps and entertainment that you already have on your phone. Whether it’s movies, TV shows, live TV, YouTube, your photos, and more. And all this from ALL of your family’s devices. You can enjoy all your favorite TV shows, movies, sports, songs, and more from over 2,000 apps like Netflix, Hulu, YouTube, and HBO NOW. Check out g.co/chromecast/ for more information. Just say what you want to watch from compatible apps and control your TV hands-free, with Chromecast and Google Home working seamlessly together. 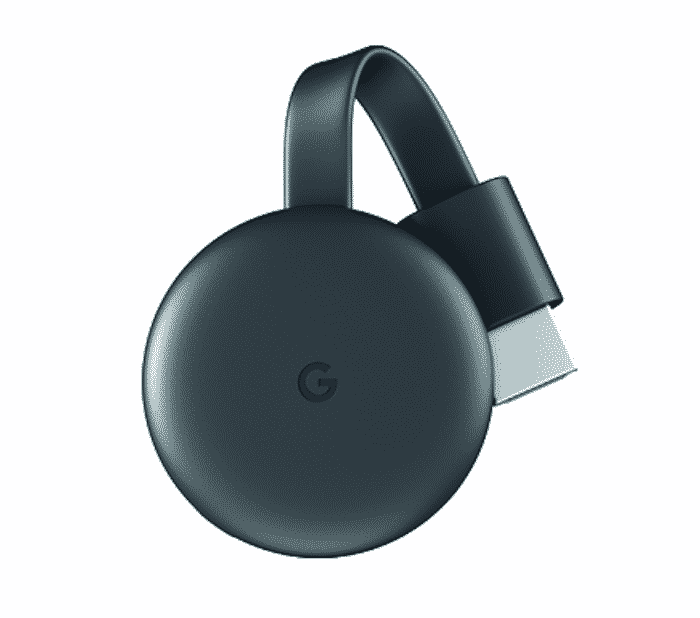 Buy Google Chromecast from your nearest Best Buy or order it online and cut the cord today.